Swipe right, match and chat. Are you tired of getting irrelevant job recommendations that doesn’t match your qualifications? 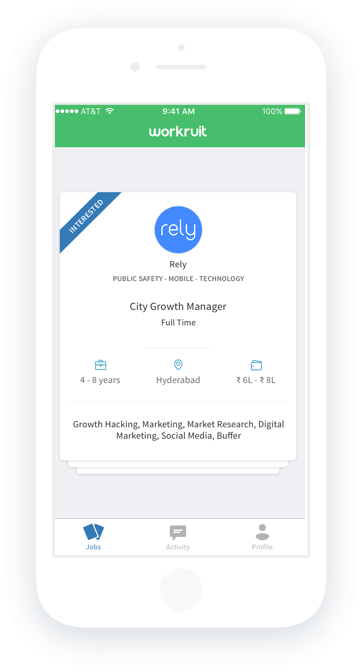 Well, we heard you and developed Workruit, an intuitive free mobile app that uses advanced AI and ML technologies to make job hunt smarter and simpler. We put you in touch with companies that are on the lookout for qualified professionals like you. Goodbye opening multiple tabs and company profiles to apply for one job. 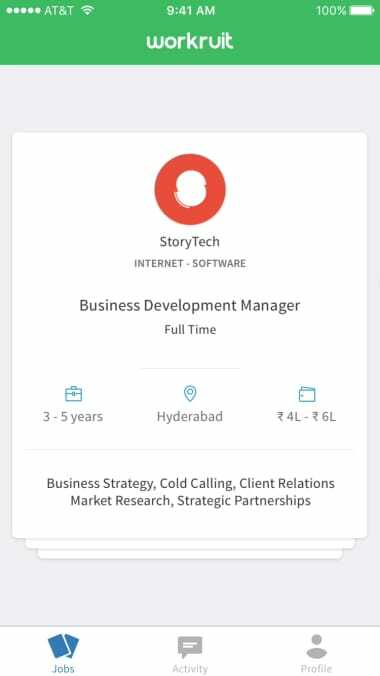 No, with Workruit, you get all your job recommendations on one stack that you can swipe right if it matches your qualifications. 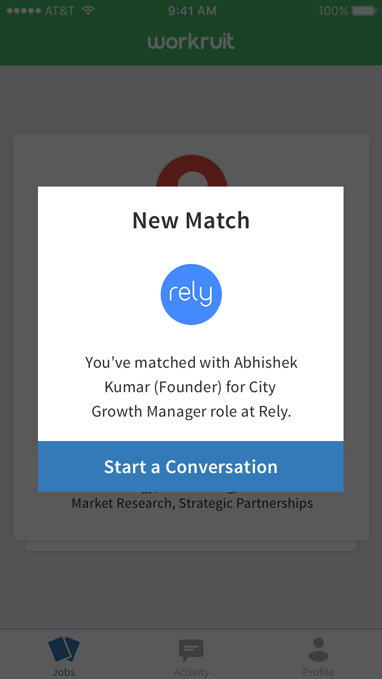 If the company swipes right on your profile, an instant match is made and you can chat directly with the company. No waiting around to find out if the employer got your application or not. Now the employer can schedule interviews using Workruit. No calling or mails, just a calendar invite that you can accept or reject depending on your convenience. An end-to-end, on-the-go app that you can use anytime, even in front of your current employer, yes that’s how discreet it is! 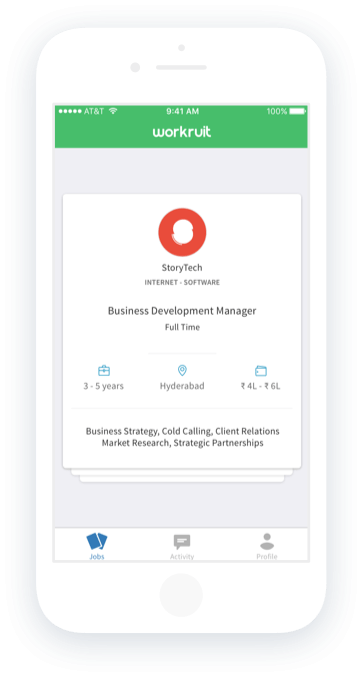 An intuitive app that leverages advanced AI and ML to give you personalized job recommendations. 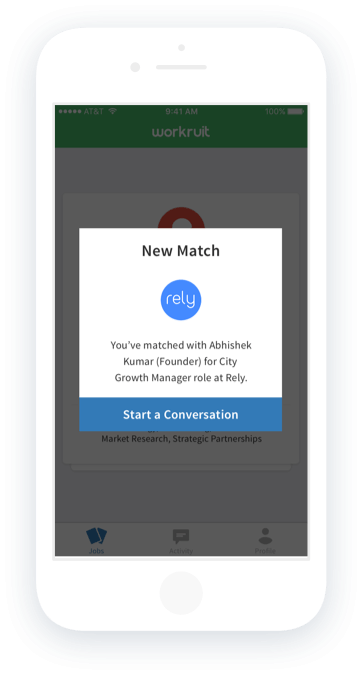 Get relevant recommendations that match your qualifications, swipe right and match with the employers. 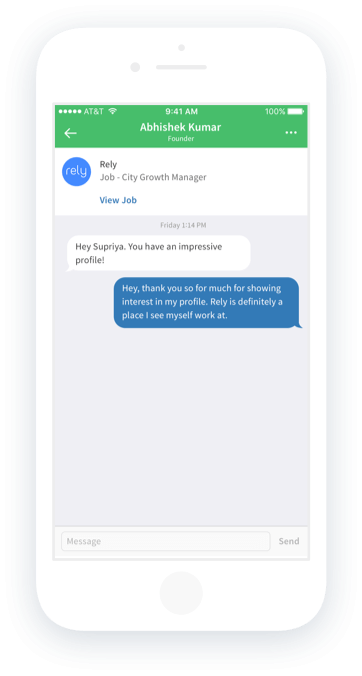 With our in-app messenger, you can chat directly with the matched employers using Workruit’s mobile app. Get tailored recommendations on the go that you can access anywhere, anytime using our mobile app. Get all the information you need on one page without having to open multiple tabs or company profiles. Employers can schedule interviews that you can accept or reject. We’re giving more power to you.  I was looking for a job when my friend recommended the workruit app to me. I signed up on the app and I noticed that it is very user friendly. I found a lot of openings matching my field of work and I applied. 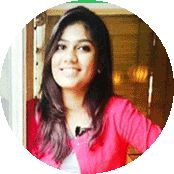 I got an immediate response from the companies and we could communicate easily through the in app messenger and so I did not have to wait for a call from them. I attended 2 interviews and got selected. 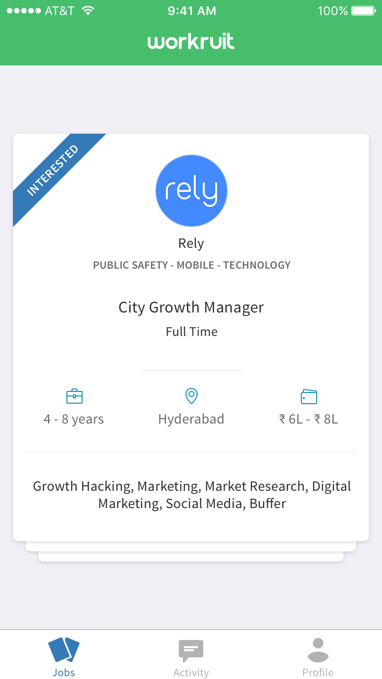 Thanks to the workruit app for helping me find my perfect first job that I dreamt of quickly and easily. Are your ready to find your next dream job? Swipe right, match and connect.